Enjoy luxury sofas and memorable musical moments as you support Vintage Vibes’ work tackling loneliness in local older people. 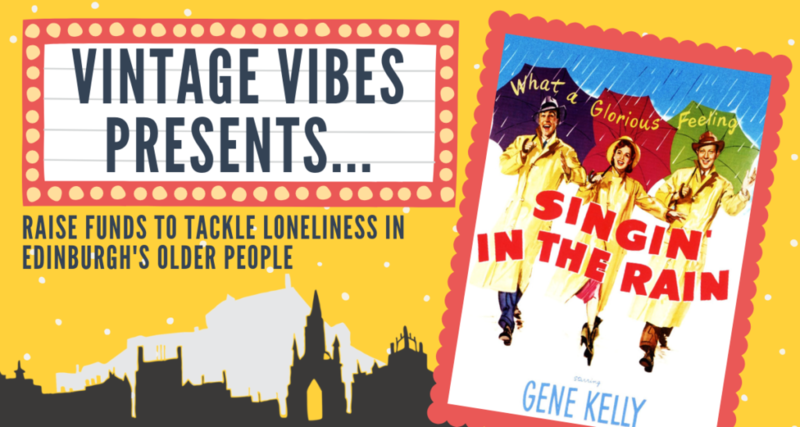 For one night only, the classic film ‘Singin’ in the Rain’ will be screened exclusively for Vintage Vibes at the Dominion Cinema in Morningside. It promises to an evening that will “Make ‘Em Laugh” and we’ll all go home dancing with “Broadway Rhythm”! As well as spending a fantastic evening watching one of the best movies around in a beautiful Art Deco cinema, there will be delicious treats and drinks on offer, games, a vintage dress up photo booth and more. over 60s who live on your doorstep. What could be a better way to make a difference? 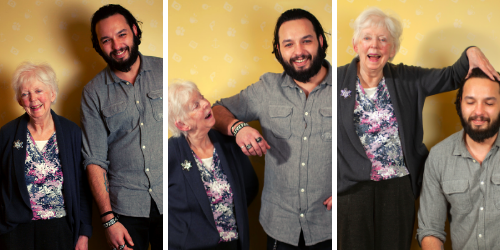 Our motto is Good Company Never Gets Old, and you can’t get much better company than Norma and Luke! From chatting about Sour Plooms to tasting Sambuca, they never seem to stop giggling when they meet – even when they recently met Michelin star chef Tom Kitchin! Norma enjoys being part of Vintage Vibes so much that she’s now decided to become a volunteer herself, and will be visiting her own VIP soon too! Join us at Singin’ in the Rain and changes lives for the long term in Edinburgh. p.s. If you want sit in a group but ordered separately, just pop us an email on hello@vintagevibes.org.uk with your names and we’ll seat you together!